FAYETTEVILLE, Ark. – The winter break from competition is over and the No. 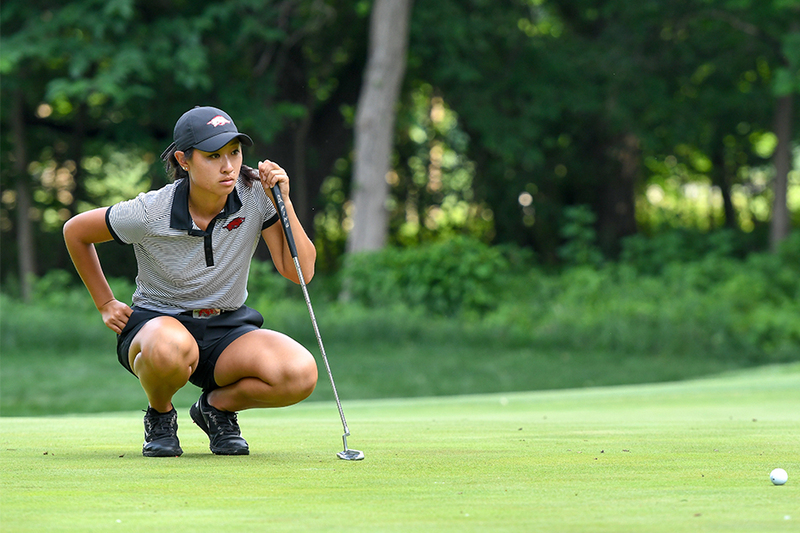 7 University of Arkansas women’s golf team gets the spring started at the Lady Puerto Rico Classic at Rio del Mar Country Club in San Juan, Puerto Rico, on Sunday. The event is the first of four regular season spring tournaments leading up to postseason play that includes the Women’s and Men’s NCAA Championships at Blessings Golf Club in May. The Razorbacks are three-time winners at the event playing to victories in 2014, 2015 and last season. The four-event fall saw the Razorbacks play to three third place finishes and one sixth place finish. Senior All-American Dylan Kim emerged as the team’s leader on the links finishing the fall with a 70.09 stroke average. Senior All-American Maria Fassi was next shooting 71.13 in three events, missing one tournament to play at the LPGA’s Qualifying School. Seniors Kaylee Benton and Cara Gorlei, along with redshirt freshman Brooke Matthews, round out the counting five. Freshman Ximena Gonzalez will play in her second event of the season as an individual this week.